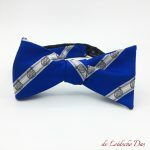 Bow ties custom made to your design. Looking for custom made bow ties for a special occasion? We specialize in designing and manufacturing of personalized self tie and pre tied bow ties with logo. 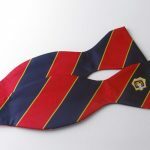 Custom Bow Ties with logo made to your Design for your company, organization, business, society or (sports)club. Custom bow ties woven to your Design for the most beautiful end result. 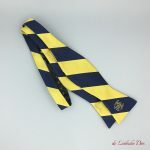 If you order your bow ties with us, you are sure that it is not a standard bow tie from stock, that is printed or embroidered. We weave your bow ties custom made to your design. You have the choice among other things of the color(s) of the yarn used, the pattern, the weaving structure and the position(s) of your logo, crest and/or text. Examples of a custom made pre tied bow tie. 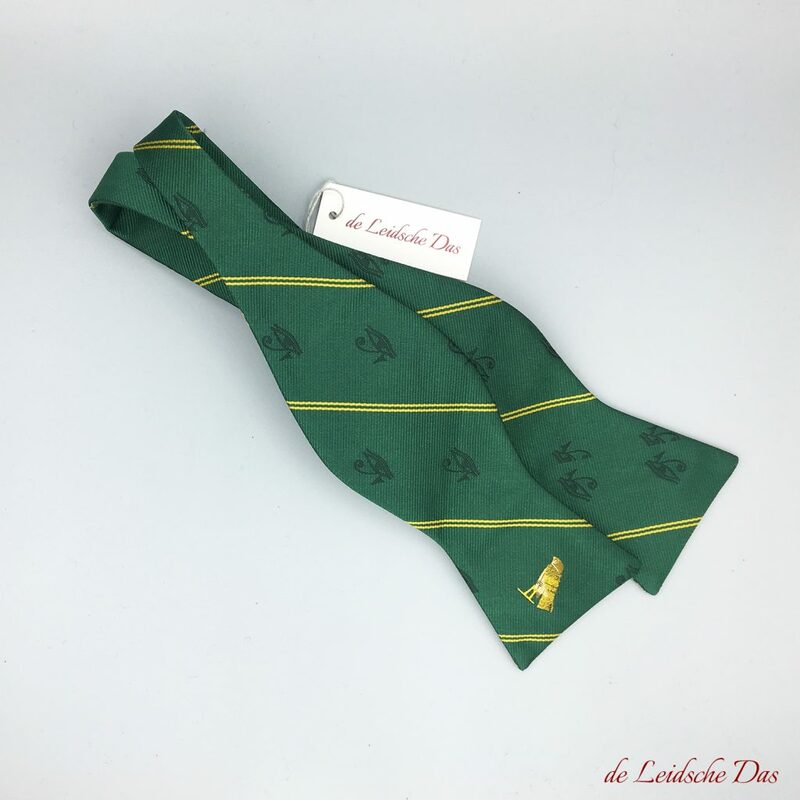 Ordering custom made bow ties in your own personalized design is possible from a minimum order quantity of 50 pieces for bow ties made in microfiber/polyester and 35 pieces for bow ties made in silk. 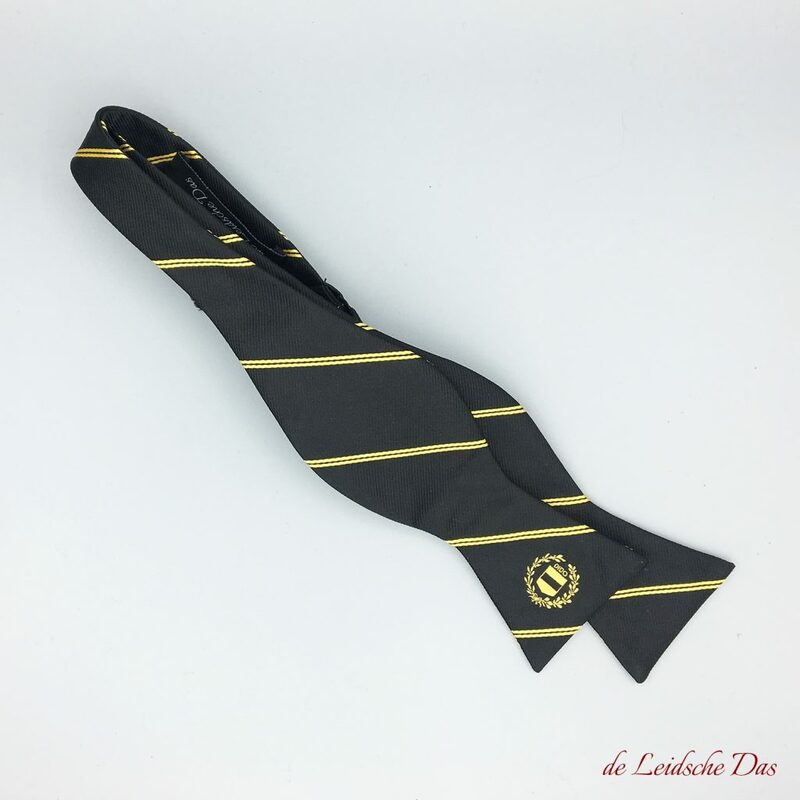 Our design department will be happy to assist you with realising a unique tie design, matching the look of your company, organisation, society or (sports)club. We strive to create a unique design that meets your requirements. We make the design for your custom ties free of charge and without further obligations. Our experienced designers will continue designing until the design is to your complete satisfaction, and how you envisioned it. Examples of a custom made self tie bow tie. If the tie design has been approved by you and the invoice is paid, then our atelier starts with the production. 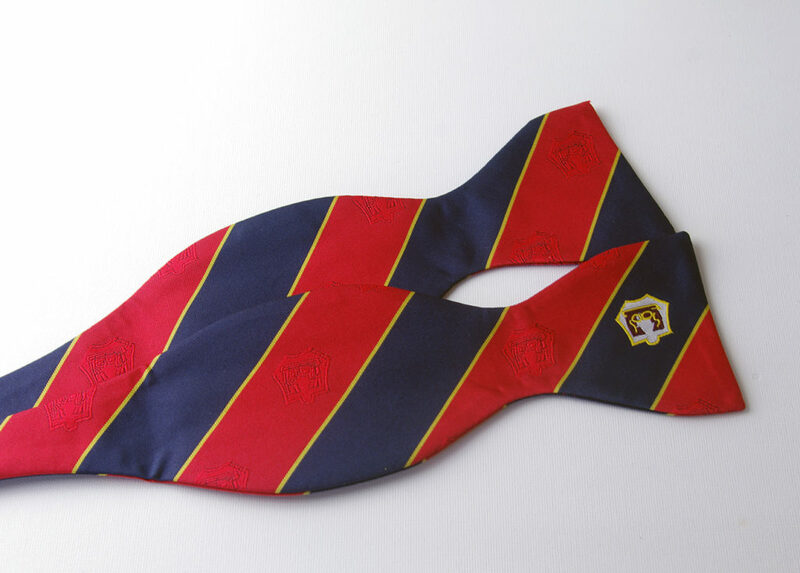 The production process of your custom woven ties with logo takes four to eight weeks. After our last quality control we send your order by courier. We will be happy to discuss the many possibilities for your tie design with you. Feel free to contact us, we will respond to your message within 24 hours.